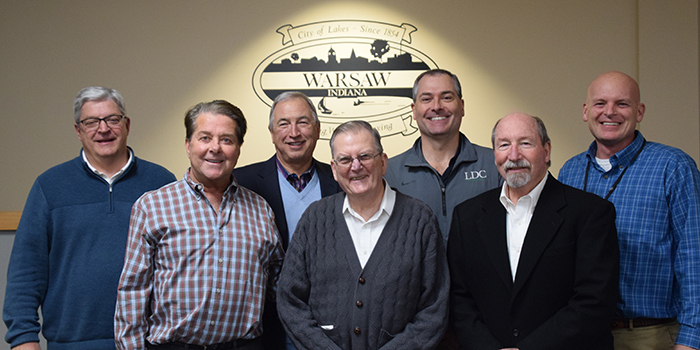 Pictured, in back from left, are Mayor Joseph Thallemer, Board Member Mike Klondaris, Board Member Jeremy Mullins and Board Member Jeff Grose. In front are Board Member George Clemens, Vice President Rick Snodgrass and President Tim Meyer. 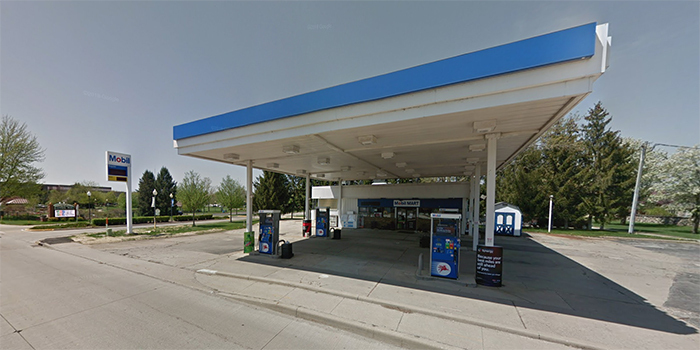 WARSAW — The Warsaw Redevelopment Commission discussed a purchase order for the property at 443 N. Detroit St., Warsaw, which most recently was a gas station, during the meeting held last night, Jan. 7. The property has sat vacant for around eight months. The proposed purchase order states that the city needs the property for an expansion of Central Park. An initial good faith purchase price of $150,000 was offered for the property. One appraisal has been received for the property and another appraisal has been ordered. The property owners also have the option to conduct a third appraisal if wanted. The owner of the property, Jaswinder Bhatti, president of JPJ Food Mart Inc., has 30 days to either accept or reject the offer. It is noted in the purchase order, that if an agreement on the acquisition of the property is not reached, the city has the right to file suit to condemn and acquire the property. There are some environment restrictive covenants on the property that would dictate what the park could use the land for. The city has consulted with an environmental attorney and is in the process of finalizing an environmental study. It was noted that any clean-up of the property would most likely fall into the cities hands as the new owner but there is expected to be very little of that. The board approved the city to move forward with negotiating the purchase of the property. Warsaw Mayor Joseph Thallemer conducted the oath of office to all board members. The board then approved to keep the elected officers the same for 2019 as 2018. Tim Meyer will serve as president, Rick Snodgrass will serve as vice president and George Clemens will serve as secretary. The board also approved the 2019 meeting schedule. Redevelopment Commission meetings will be held at 4 p.m. during the first Monday of the month at Warsaw City Hall. The only exception is that the September meeting will be held on Sept. 9, due to Labor Day.